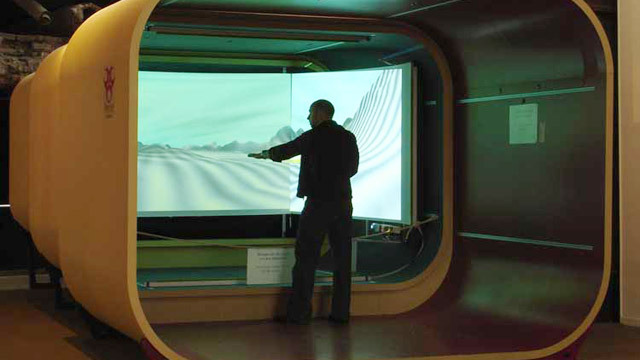 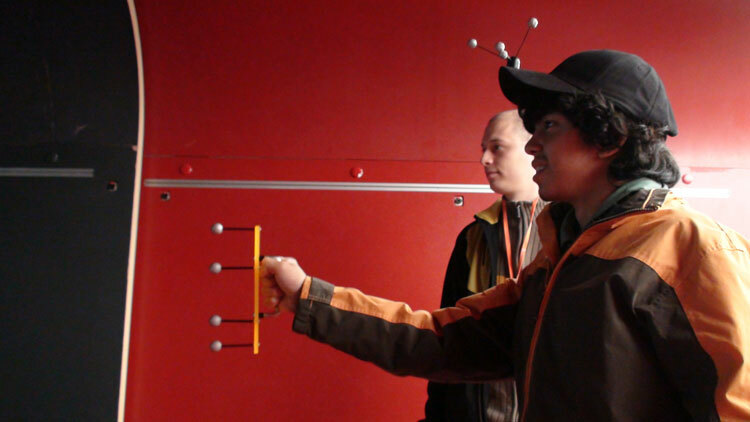 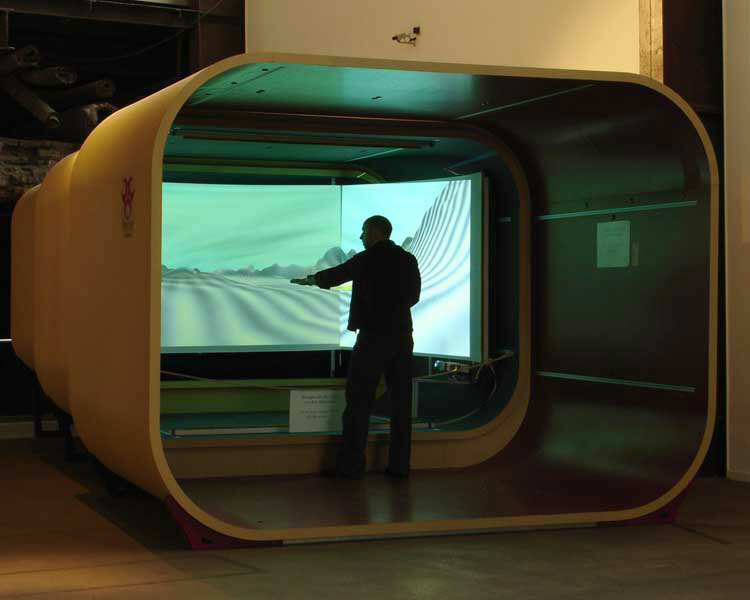 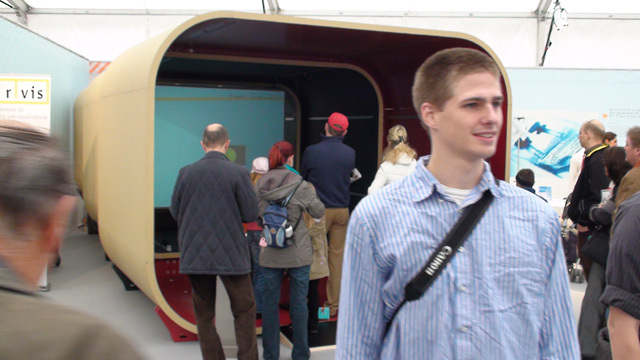 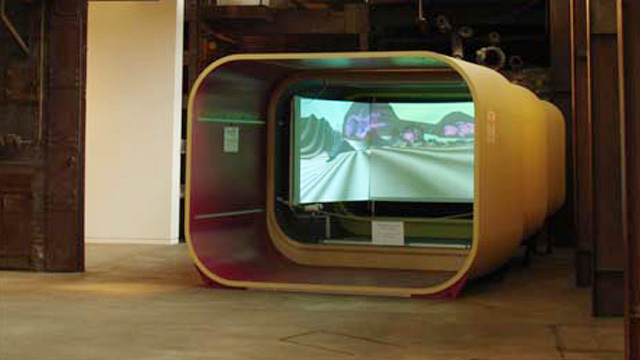 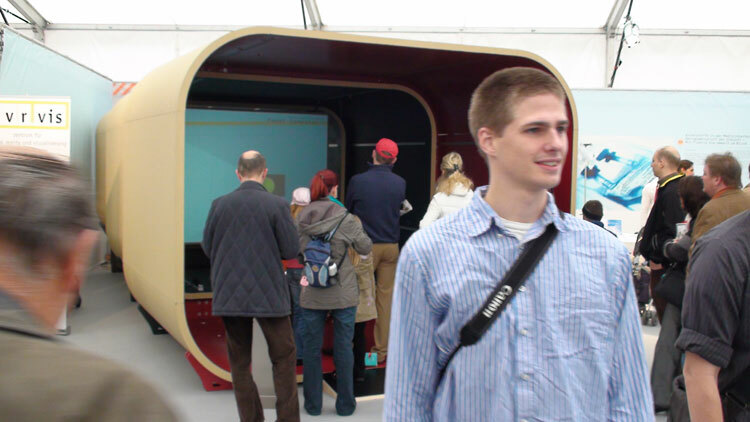 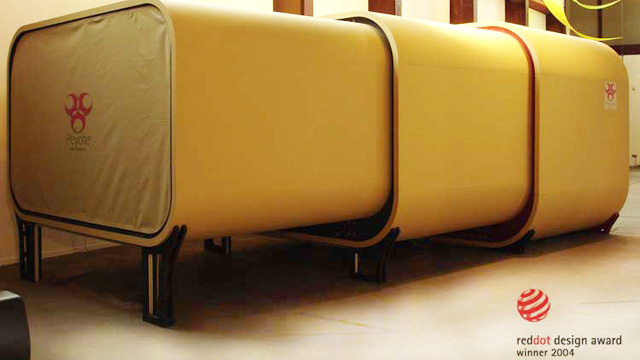 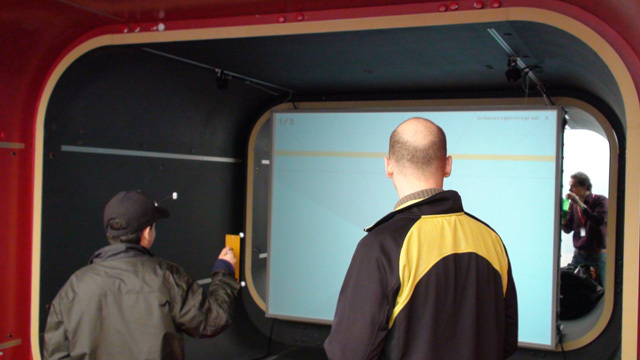 The transportable iTube makes large-format multimedia experiences possible. 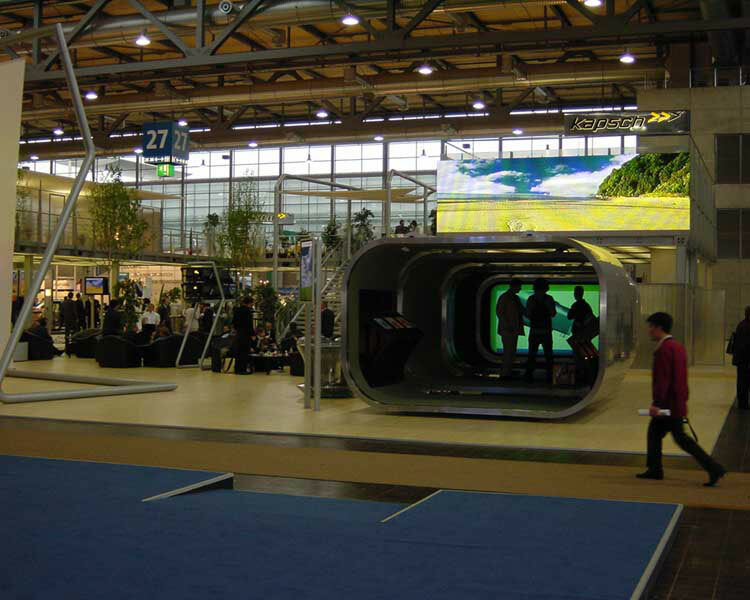 The flexible form of the iTube is put together from lightweight elements and was specially developed for transport as well as continuous assembly and dismantling. 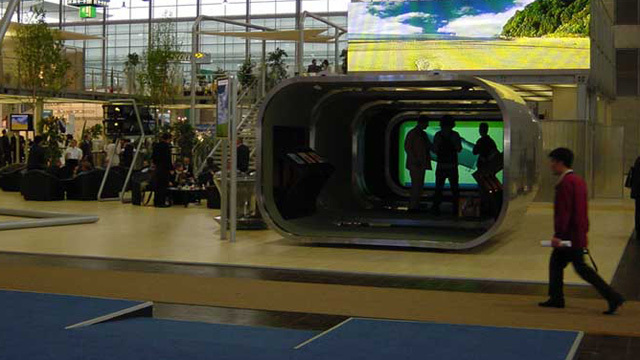 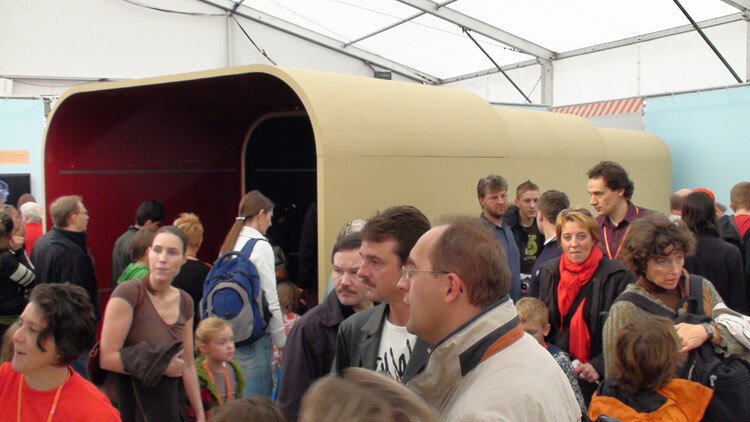 This means that the iTube is ideal for indoor presentations in public spaces, at trade fairs, events and road shows. 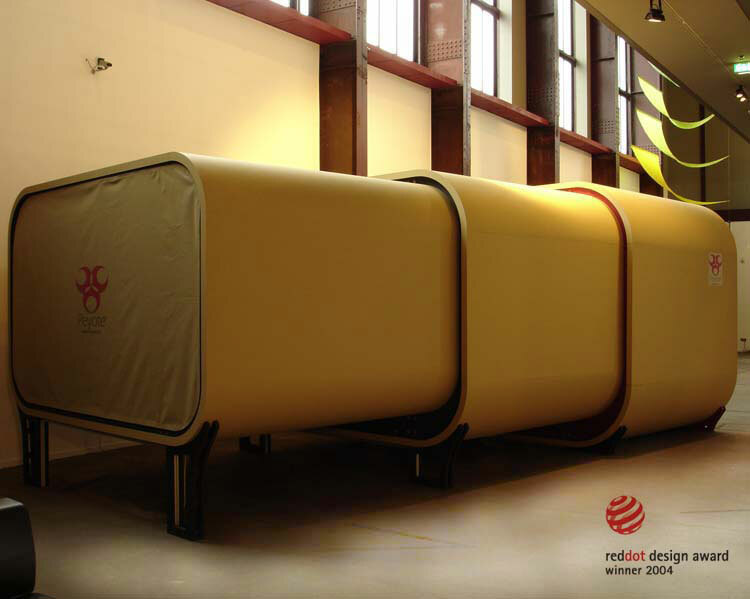 iTube was awarded the "Adolf Loos State Prize" in 2001, nominated as the "Best Invention of 2003" by Time Magazine in 2003, and won the "red dot design award" in 2004.